As we drive into the IIT complex in Powai, Mumbai, director Soumitra Ranade talks about being nervous. "It is so hard to release a film these days," he shrugs. 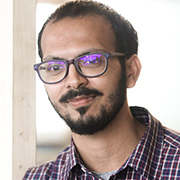 An independent filmmaker, Ranade has chosen to name his latest project after the iconic Saeed Akhtar Mirza film, Albert Pinto Ko Gussa Kyoon Aata Hai (1980). "To do a comparison, it is a risk like re-imagining Sholay (1975)," Ranade admitted. 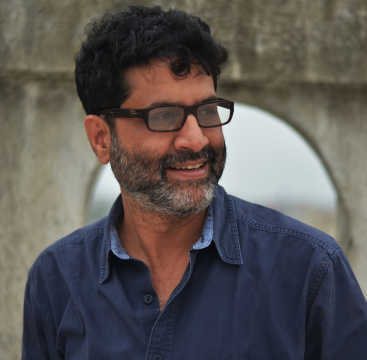 In fact, the director points out that he began writing a film that was completely different, only to realize that his protagonist seemed to be thinking like Mirza's Albert Pinto. "I wasn’t scared because I got encouragement from Saeed himself," Ranade said. "If he had told me no, or even said ‘it's a valid film, but not Albert Pinto’, then I would have backed off and named it something else." 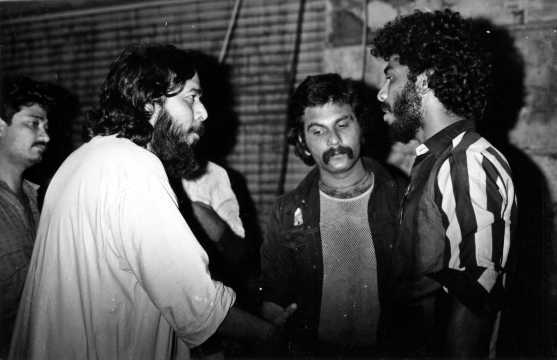 Having studied and worked with Mirza at the Film and Television Institute of India (FTII), Ranade shares a camaraderie with the filmmaker whose films like Arvind Desai Ki Ajeeb Dastaan (1978), Albert Pinto Ko Gussa Kyoon Aata Hai (1980), and Salim Langde Pe Mat Ro (1989) act as predictions of a society collapsing on its identity crises. Ranade's take on the second of this trilogy focuses similarly on the angry, lost middle class of today. "India’s middle class is huge in numbers," the writer-director said. "If anybody can change this country, it is the middle class. The poor don’t have the power to change this country, and the rich don’t care because the system suits them. Unfortunately for us, India’s middle class is consumed by the internet, malls and multiplexes, and roads." In an age of consumer-driven cinema, does the idealistic cinema of resistance still hold a candle? Yes, believes Ranade. "I believe in the cinema of resistance. It does not mean you have to do documentaries and carry a red flag. I can do Goopy Gyne Bagha Byne (1969), and it is a cinema of resistance." Ranade is currently working on an animated version of the tale of The Cabuliwallah, turned into cinema by Tapan Sinha in 1957 (in Bengali) and Hemen Gupta in 1961 (in Hindi). This is the second such animated feature that borrows its story from an original. Ranade had written the story for wife Shilpa Ranade's animated feature Goopi Gawaiyaa Baagha Bajaiyaa (2019) which was released last month. "I don’t know. It just so happened," shrugged Ranade. "I need to think about this answer. I might need to go inside me and think why am I retelling stories. There are several stories which we have lost. I feel troubled by that. But reinterpreting it for modern times helps a historic film to stay alive in our consciousness." 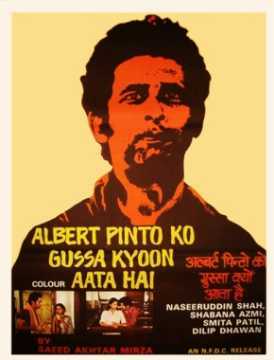 Of the three defining films by Saeed Akhtar Mirza, Arvind Desai Ki Ajeeb Dastaan (1978), Albert Pinto Ko Gussa Kyoon Aata Hai (1980) and Salim Langde Pe Mat Ro (1989), why did you choose Albert Pinto... as your film? Of the three films that you mention, all of them are relevant today. Salim Langde Pe Mat Ro also shows the oppression of the minority community. Now, people are moving towards radicalism. That is a very interesting film also. Mohan Joshi Haazir Ho! (1984) as well, considering the state of the judiciary, would be a very interesting film. I connected with Albert Pinto... when I saw it for the first time in 1980. I was a student at FTII. At that time, it was an amazing thing for us. To realize iss type ki film bhi ho sakti hai [a film could be made this way as well]. It was one of the films that inspired me to get into FTII. While the press and media go gaga over the GDP [gross domestic product] and other statistics, I didn’t see it in reality. In fact, I felt people were getting angrier and angrier. In the 1980s and 1990s, people still had some hope. They thought the political system will start looking towards them. But 2000 onwards, I felt they were hopeless. The ‘kuchh nahi honewala’ attitude has been so ingrained in our psyche that the only resort is in anger. I thought big-screen cinema does not always reflect anger. That is as important an emotion as love, jealousy, hatred, or anything else. I thought I should make a film that represents the common man’s anger. How did the conversation with Saeed Akhtar Mirza go, when you approached him with the idea to re-conceptualize Albert Pinto? It is an iconic film, more so for him. When I started writing the film, it was not called Albert Pinto Ko Gussa Kyun Aata Hai? It was an independent film. As I was writing it, I felt that this man was responding to the situations around him like Albert Pinto did in the original. I thought it was an interesting idea to look at the entire thing from Albert Pinto’s viewpoint. I rewrote the script, and called it Albert Pinto Ko Gussa Kyun Aata Hai? Saeed and I go back a long way. He was there for my interview to FTII. We connected immediately, when he was a visiting faculty and held workshops. After I graduated from FTII, I went to him and worked with him. We worked on a few documentaries and the feature, Naseem (1995). He is like family to me. When I went to him, I thought he will say ‘it's not working’. After all, the original was a cult film, and nobody wants it to be abused. It is a big risk, especially a film like this, because it is a very serious film. Naseer saheb has done an amazing role in it, and he is still known for that role. In the commercial sense, it would be like remaking Sholay (1975), as big as that. I wasn’t scared because I got encouragement from Saeed himself. If he had said no, or even said, ‘It's a valid film, but not Albert Pinto’, then I would have backed off and named it something else. The film is completely different. It has nothing of the original. I have just taken the soul of that film. It is the spirit of that man [Albert Pinto]. When remaking films, we usually take the same things, make it bigger, sexier, and in that the soul is lost. So, I thought, instead of doing that, I would go the opposite way. The film had been in the making for a while. Were you worried that the time lag might affect its chances? I was worried about that, but it is so interesting that people are responding to the film better now. They are feeling that the film works much better in contemporary times than it would have 2-3 years back. Albert Pinto is a man who is apathetic towards the troubles of his fellow class, but suffers something that pushes him into activism. In 2019, where do you see him? Is he the lower middle class, upper class? I shifted the class in the film. In my film, he is from the middle class. He is educated, has a job. His father was a government employee. He is not a mill worker. 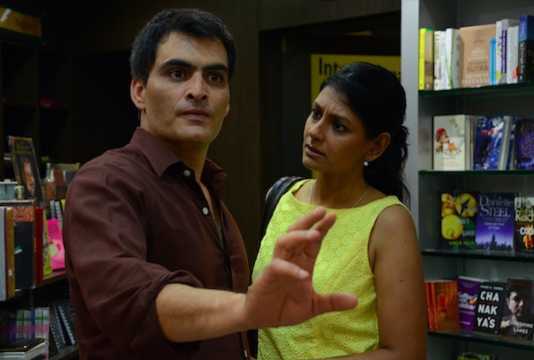 Manav Kaul and Nandita Das in Albert Pinto Ko Gussa Kyun Aata Hai? I made that shift because I wanted to address the middle class now. India’s middle class is huge in numbers. If anybody can change this country, it is the middle class. The poor don’t have the power to change this country, and the rich don’t care because the system suits them. Unfortunately for us, India’s middle class is consumed by the internet, malls and multiplexes, and roads. It is important for us to understand that there is another reality outside this city. It is necessary to have a conversation with that reality. Farmers’ suicide has become a fashionable slogan for all political parties, but farmers have been committing suicide for the last 25 years. It has taken 25 years for this story to reach us. But even today, people don’t know what is the actual problem. Such a divide is not a good thing for society. Salim Langde Pe Mat Ro, Nishant, Albert Pinto, were products of artistes seeking to show that social change. You talked about cinema not showing that anger on screen. Yet, as we speak, filmmakers and theatre artistes have appealed to not vote for communal forces. Does cinema still have a social standpoint? Cinema is a very expensive medium. Unless there is some support, it is very difficult to make a film and release it. I really hope this experiment works. It is not just for me, but if this film works out, it will give hope to a lot of people. Albert Pinto... is entirely self-funded, and we were short on funds so we did crowdfunding. It took us a longer time than expected, but we finally made it. I am also releasing the film myself. It is a truly independent film. The actors and crew members are all partners. None of them has charged a penny, including Manav, Nandita Das and Saurabh Shukla. With the profits of the film, maybe we will have a share. This is a cooperative form of filmmaking. People like Saeed and Kundan [Shah] were a little luckier because NFDC [the National Film Development Corporation] was supporting them. NFDC is starting to come back into production. Making films has become impossible unless you have these elements of commercial entertainment. It is very tough. Did you think of going digital? It did cross my mind. It is an option. After the release, we will go to a digital platform. But the film has been shot for a theatrical experience. Whether that is a mistake, I don’t know. But when I made the film, I thought it would be easy for me to release the film. The aesthetic of the digital and theatrical experience is completely different. From my next film, perhaps, I will be aware of the fact that it will be damn difficult to release the film so I will keep this [digital] as my first option. But does a digital release not offer you a larger audience? It does. It absorbs the pressure on you as a filmmaker. Back in time, it was the opening day and the weekend. That was the end of your film. Now, it is not. Manto, for instance, was very popular on Netflix after it faded away from theatres. It is an exciting thing for us as filmmakers. I still feel that the digital medium is in 'Bollywood' mode. They have not broken out of it. They work with big banners and huge stars. They haven’t really started working with newer people. Delhi Crime is not made by a big banner or a major star, but what a series! The scope is different and the stage is different. The medium experimented with big banners initially, but only got extensions of film. They didn’t realize that it is a new space entirely. The casting of Manav Kaul and Nandita Das seems to reflect in some way Naseeruddin Shah and Shabana Azmi. Like the original artistes, they are also very active political voices. Did that influence the casting choice? Actually, you have certain people around you with whom you speak and [who are] ideologically your mirrors. I will not be able to be very good friends with somebody who is completely opposite to my beliefs. Not good friends, at least. They [Manav Kaul and Nandita Das] were my friends first. We agree and disagree on so many things, but we are in the same ideological space. So it was easy to work with them. I would not mind working with Paresh Rawal either. I would have no issues working with him. He does not wear his politics on his sleeve. He is a great artiste regardless. 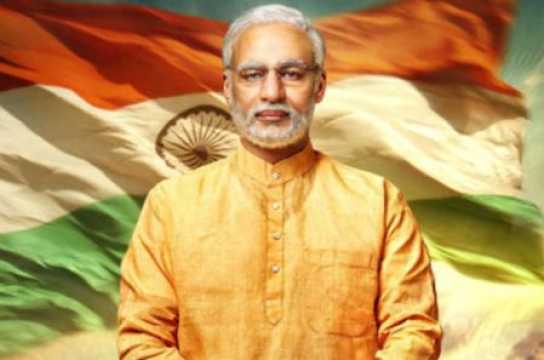 Albert Pinto... opens a day after the biopic on PM Narendra Modi [this interview was conducted before the Election Commission of India stayed the latter film's theatrical release]. It seems oddly coincidental, and also very interesting. What do you make of it? It seems so damn interesting. Even for propaganda, you will have to make good films. In fact, as a figure, Narendra Modi is very interesting. I would love to make a film on him. To find out what happened, how does a man go from being an ordinary RSS shakha worker to the prime minister of the biggest democracy in the world? It is a very interesting story, and he deserves a biopic. But it is the timing and whether it [the biopic] is going to go deep into the flaws and the personality, or if it is just a showcase of his achievements. People are already seeing the mention of these achievements every day. That’s the difference. I don’t have an issue with these things. Films like these need to be made. 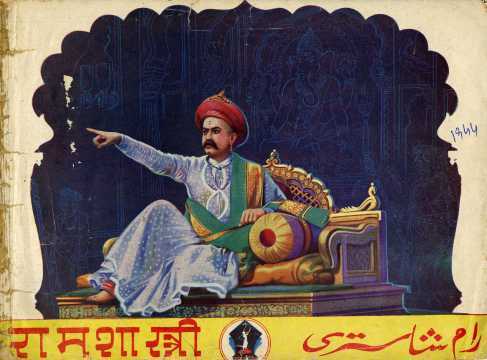 We had an amazing historical film called Ramshastri (1944), made by Prabhat Talkies. It is, I think, the only political film that [pre-Independence] India made. Another one called Singhasan (1979) by Jabbar Patel that stands out as a truly political film. You also made the animated film Goopi Gawaiyaa Bagha Bajaiyaa, and Jajantaram Mamantaram (2004), which were retelling of old fables. You are also working on an animated version of Kabuliwala. What is this fascination for retelling old fables in a new way? I don’t know. It just so happened. I need to think about this answer. I might need to go inside me and think why am I retelling stories. There are several stories which we have lost. I feel troubled by that. A story like Goopy Gyne..., such a beautiful story. If we had not done a remake of it, people might have forgotten. I am not so arrogant as to say we revived it. But reinterpreting it for modern times helps the historical film to stay alive in the consciousness. These stories are also relevant now. Take Kabuliwala, it was written in 1893, an eight-page short story. It leaves space for you to reinterpret it. Again, both Goopy Gawaiyaa... and Albert Pinto... are films about characters that go against the majoritarian view, that question the status quo in society. Is that a product of your own belief system? Yes, I believe in the cinema of resistance. It does not mean you have to do documentaries and carry a red flag. I can do Goopy Gawaiyaa..., and it is a cinema of resistance. Same with Kabuliwala. Also, stylistically, the way we treat our medium is not a formula film. Even Albert Pinto... is breaking all the norms of narrative. It is about the now, the immediate future, and the past. It is about the hallucinations that Manav’s Albert is seeing in his mind. It is not only what we are saying, but how we are saying it is also important. Goopi Gawaiyaa... we could have taken a simple animated style which was established and it would have helped the perception of the cute film for children, Disney kind of style. But we cannot. We made it in our own style, an experimental form. For us, content and form are both important.